On June 3, 2015 the Dallas City Council voted 10-4 to repeal the City’s 5-cent disposable bag fee. 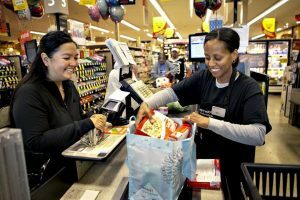 Effective June 8, 2015 there are no laws regulating single-use plastic bags in Dallas and retailers are allowed to distribute disposable bags whenever they’d like. Back in 2012 Dallas had big plans to go zero waste by 2040. There was even talk of increased recycling and banning disposable items such as plastic bags. Talks have stalled and Dallas has not completely given up on this ambitious goal, but with this single-use bag fee setback, it is not likely Dallas will reach this milestone. The man behind the Dallas bag fee legislation is Council member Dwaine Caraway. The ordinance has essentially been a struggle from the beginning. Initially Council member Caraway proposed a ban, but this was changed to a fee in an effort to make the measure more appealing. To further complicate matters, the Governor-Elect Greg Abbott has been discussing banning disposable bag ordinances in Texas, so even while the Dallas City Council, along with other municipalities, have either implemented laws or are working towards passing their own laws, the possibility exists that these measures could inevitably be overturned. 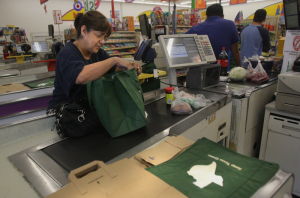 The pending legislation has caused many officials in Texas to backburner proposals to ban or impose fees on disposable bags. Despite all of the setbacks, in March 2014 the Dallas City Council passed an ordinance levying a 5-cent fee on single-use plastic bags. Paper bags made from 100 percent recycled content were allowed under the law. However, paper bags that did not fit these criteria were also subject to the fee. This law became effective January 1, 2015. There were mixed feelings throughout Dallas regarding the ban and public opinion ran the gamut from people who loved the fee and thought city officials should up the ante and implement an outright ban, to others who were strongly opposed to the ban. Due to the reception to the disposable bag fee, the City Council opted to vote again on the matter and the fee was repealed. In an effort to completely eliminate plastic bags and bring things back to the original zero waste goal, Council member Dwaine Caraway proposed a ban on single-use plastic bags, but this failed to pass in a 9-6 vote. As seems to always be the case with single-use bag legislation, when it comes time to argue for or against the matter, people look to other cities. There is a lot to be learned from this practice because cities can definitely learn from the experiences of others, but this can also be dangerous. There is no one-size-fits all legislation and what works in one city may be successful in other areas, or it may not even work in the next town over or in a city several states away. Opponents to the Texas bag fee cited a reaction among residents in Los Angeles after a disposable plastic bag ban was passed. Shoppers supposedly traveled from the city, where the ban was in effect, to the suburbs where there were no laws regulating single-use plastic bags to do their shopping. Those against the L.A. ban feel the measure hurts local businesses and people in Dallas feared the same could happen in their city. There are always going to be people who do not like a specific law and are willing to go the extra mile, sometimes literally wasting gas and money, to avoid the matter. Plastic bag bans and fees reduce the use of disposable plastic bags and the negative impact that single use plastic bags have on the environment. Just because a small portion of individuals disagree with the ordinance does not mean it is not the right thing to do and does not mean the measure has no value. Ultimately, it’s too soon to know how the Dallas fee influenced people’s shopping habits although the city collected about $580,000 in fees during the 5 months the measure was in place. The result from the City Council votes to overturn the fee and not impose a ban are really interesting because neither was a landslide. This indicates that there are supporters on the City Council of measures to reduce single-use plastic bags. 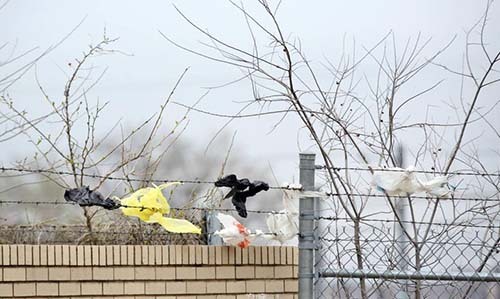 Overturning the fee is still too recent and there are no public plans at this point to move forward with some type of measure although it is safe to say that Dallas residents have not heard the last of disposable plastic bag legislation. What Are the Negative Impacts of Plastic Bag Bans? Are Custom Reusable Bags a Good Way to Market Your Brand? It is sad to see that this issue is even being argued. Just look at all the facts and ask a few experts about the effects of plastic bags on our environment and on all the animals each year. The numbers don’t lie. It is estimated that over 100,000 marine Mammals and over 1-million seabirds die each year from ingesting plastic. How much higher do the numbers have to be before we all stand up and do the right thing?